Enjoy the Fine Art of Cooking Inspired by the great French kitchens, Cuisinart began making professional cookware almost 30 years ago. Constructed of the finest materials available to perfectly perform all of the classic cooking techniques, Cuisinart cookware continues a long tradition of excellence. Cuisinart's commitment to quality and innovation continues with the MultiClad Pro Stainless cookware, designed to meet the demands of gourmet chefs everywhere. Unique triple-ply construction joins a brushed stainless steel exterior, a pure aluminum core that provides even heat distribution, and a stainless steel interior, for optimal performance. MultiClad Pro Stainless lets you celebrate the fine art of cooking. What is MultiClad Pro Stainless Cookware? Premium cookware that features professional triple-ply construction, a core of pure aluminum bonded to a stainless steel interior and a brushed stainless exterior. Heat Surround technology maintains even heat distribution along the bottom and side walls of the cookware, eliminating hotspots. Premium stainless steel cooking surfaces do not react with food or alter natural flavors. Updated Cool Grip handle design Tight-fitting stainless steel cover Tapered rim for drip-free pouring The Cuisinart Details Designed to provide professional gourmet cooking results, this cookware offers perfect heat and perfect results, every time. The Choice of Professionals Aluminum core heats and cools quickly for precise temperature control. Heat Surround technology provides even heat distribution along the bottom and up the side walls of the cookware. Stainless steel interior is ideal for delicately simmering sauces, perfectly sautéing vegetables, browning meats, or boiling several servings of pasta. Cover Seals in Nutrients A tight-fitting stainless steel cover seals in food's natural juices and nutrients for healthier, more flavorful results. The cover is dishwasher-safe. Drip-Free Pouring The rim is tapered for drip-free pouring. Professional Results Stainless steel cooking surface does not react with food or alter food flavors. Great for classic cooking techniques like sautéing, frying, browning, searing and slowly simmering sauces. Superior Heat Triple-Ply construction includes the unsurpassed heat conductivity of a pure aluminum core. It insures maximum heat retention and even heat distribution, eliminating hot spots. Perfect Balance The exclusive Cool Grip handle stays cool on the stovetop. The handle's unique thumb rests are riveted for perfect balance and ultimate control when lifting and pouring. Cuisinart GreenGourmet Hard-Anodized Nonstick Cookware Series Inspired by the great French kitchens, Cuisinart began making professional cookware over 35 years ago. Constructed of the finest materials available to perfectly perform all of the classic cooking techniques, Cuisinart GreenGourmet Hard-Anodized cookware continues a long tradition of excellence. Today, more and more home cooks are going green… and so is Cuisinart cookware! 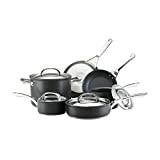 Nonstick coating for any kitchen task Cuisinart's GreenGourmet cookware is designed with an exclusive Cuisinart Ceramica nonstick surface, which features a petroleum-free, ceramic-based coating that is applied at a temperature one half that of traditional nonsticks. The coating does not contain PTFE and PFOA, substances often used in nonstick cookware that have raised health concerns over the years. It was also developed using manufacturing techniques that reduce harmful carbon emissions by consuming less energy. The coating is also water-based, unlike other nonstick coatings on the market, which are solvent-based. In addition, Cuisinart's cookware has a scratch-resistant nonstick surface that won't peel off. The new cookware conforms to FDA and European RoHS standards for environmentally sound products. These pans should be hand-washed with a mild detergent. Cuisinart also gets some green cred from the packaging, which is made from 100 percent recycled materials and is printed using 100 percent biodegradable soy ink. The pans deliver superior heat conductivity, requiring less energy to achieve the desired cooking temperature. Harder than stainless steel, the skillet's hard anodized exterior is dense, nonporous, and highly wear-resistant for extra durability and professional performance as well as quick and even heat distribution. Additionally, the securely riveted stay-cool steel handles are manufactured using 70 percent recycled stainless steel and is oven-safe to 500 degrees F, so food can be browned on the stovetop then transferred to the oven to finish cooking. Product Features Riveted stainless stick handles stay cool on the stovetop Petroleum-Free ceramic-based nonstick interior helps to conserve oil consumption Exclusive Cuisinart Ceramica Nonstick Technology Oven and broiler safe Packaging is made from 100% recycled materials and is printed with soy ink Handles are made from 70% recycled stainless steel Features and Benefits Healthy Cooking, Easy Cleaning: When cooking with your Cuisinart GreenGourmet Cookware, you do not need to add oil or butter to prevent foods from sticking. If you wish to enhance the flavor and appearance of foods, you need add only a minimum amount to the nonstick surface of your cookware. Energy-Efficient Cooking: Select a burner size that matches the diameter of the bottom of the pan. When cooking over a gas burner, make certain that the flame touches only the bottom of the pan. If the flame extends up the sides of the pan, energy is wasted. Easy Maintenance: Let your Cuisinart GreenGourmet Cookware cool before cleaning. Cookware should be washed by hand with hot sudsy water and a sponge or soft dishcloth. 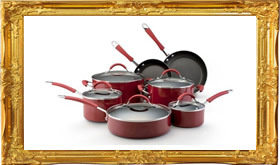 Do not use steel wool or other metal or abrasive pads that can scratch your cookware. After washing, rinse thoroughly and dry immediately. Cleaning the Exterior: Cuisinart GreenGourmet Cookware has a smooth exterior finish, making it easier to clean and maintain. Food residue or buildup on the exterior of your cookware can easily be removed with hot soapy water and a scrub pad. The exterior of Cuisinart Cookware, like other brands, will show wear with continuous use. This condition will not in any way affect the superior cooking performance of your cookware. Convenient Storage: Cuisinart GreenGourmet Cookware has a smooth exterior finish, making it easier to clean and maintain. Food residue or buildup on the exterior of your cookware can easily be removed with hot soapy water and a scrub pad. The exterior of Cuisinart Cookware, like other brands, will show wear with continuous use. 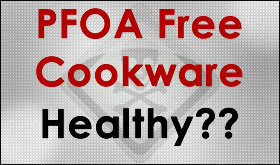 This condition will not in any way affect the superior cooking performance of your cookware. Proper Cooking Utensils We recommend using plastic or wooden utensils in your Cuisinart GreenGourmet Cookware to maintain its appearance and performance. Refrain from cutting foods or using sharp utensils such as forks, knives, mashers or whisks that can scratch the cooking surface. Slight surface marks and abrasions are normal and will not affect the performance of the Cuisinart Ceramica coating. Durable Cookware for a Lifetime of Great Meals With a little bit of care, you’ll enjoy a great performance from your Cuisinart GreenGourmet cookware for years to come. A careful hand washing after each use is usually all it takes. But if pans become crusty or heavily greased, a couple of hours soaking in hot sudsy water and a light scrub will have them looking like new. Seasoning your pans twice a year helps to maintain optimal performance, and it’s easy! Just add a half-tablespoon of vegetable oil and spread it around the entire interior, right up to the rim. Then place the pan in a preheated 300°F oven for an hour. Carefully remove the pan, allow it to cool completely, and wipe off any excess oil with a paper towel. Be gentle with your cookware! Avoid stacking, which may cause chipping of the ceramic interior. Show it off on a Cuisinart cookware rack, or store it carefully, with a little breathing room, in your kitchen cabinets.